Correctional Nurse Goals for 2015: Get Certified! What, you say? Take an exam in 2015? Do I really want to do that? Are these questions running through your mind at the idea of getting a certification this year? Here are some thoughts on why you should consider becoming certified in your specialty this year. You might be asking yourself – why do I need certification when I have a nursing license? Licensure is definitely required to provide our level of health care. It is a governmental requirement for practice that protects the public from incompetent practitioners. Specific educational requirements, such as the amount of practical hours of training, are often a part of the State Practice Acts governing entry level into the profession. Certification, on the other hand, is voluntary, non-governmental, and not required to enter into nursing practice. It recognizes an individual’s advanced knowledge and skill beyond initial licensure. Most certification programs require a minimum number of hours of practice in the specialty along with a written certification exam. Is there value to all the effort it will take to gain certification? The American Board of Nursing Specialties completed research in this area and found these 5 components of certification value. Which ones resonate with your professional values? Professional Recognition: Probably first and foremost is professional recognition among employers, peers, and consumers. Certification denotes a proven knowledge base and documented experience in a given specialty. I experienced this myself as a consumer this past year when my husband prepared for a total hip replacement. The orthopaedic surgeon looked young to me…a problem I have a lot these days as I am getting older (!). While in the waiting room for the consultation visit, I was contemplating asking that uncomfortable question about how many surgeries of this type he had completed. However, just in time, my eyes fell on a framed certificate of board certification with the American Academy of Orthopaedic Surgeons. That was comforting…as was our conversation with him shortly afterwards where he explained the procedure and volunteered his frequency of performing it. By the way, my husband is doing very well after the surgery and we are very happy with the results. Professional Credibility: Credibility is another component of certification value. This was important to me when I became a correctional nurse educator 10 years ago. If I was going to be orienting and educating nurses in the specialty, they needed to know that what I was saying was credible and that I knew what I was talking about. One way to do this is through certification. I started on my journey to the basic CCHP certification the first year I was a correctional nurse. Actually, I brought others along with me by starting certification study groups in any facility with interest. We had over 20 people sit for the certification exam after we all studied together. It was exhilarating and I recommend this as an idea for you. Start a study group in your facility and go through the process together. Sense of Accomplishment: It is easy to see how you would have a sense of accomplishment through successful completion of a specialty certification exam. It can be hard work and you deserve congratulations at the finish line. Knowledge Validation: Certification validates basic knowledge for the particular specialty – above and beyond initial general professional knowledge. Marketability: All these outcomes also mean marketability. Certification means you will stand out in a crowd of resumes vying for a particular position. It not only speaks to your knowledge but to your motivation and perseverance in the specialty. Someone who is only passing through is not going to bother with certification. Someone who is not interested in their career is not going to get certified. Someone who is not willing to diligently pursue excellence is not going to be certified. You get the picture. Certification says you are someone who is motivated to do a good job in our specialty. The Certification Journey #1: Where Do We Start? What do you think about professional certification? Share your thoughts in the comments section of this post. This entry was posted in Certification Journey, Professional Practice and tagged CCHP-RN Certification, CCN/M Certification, correctional nursing, Essentials of Correctional Nursing, Lorry Schoenly. Bookmark the permalink. 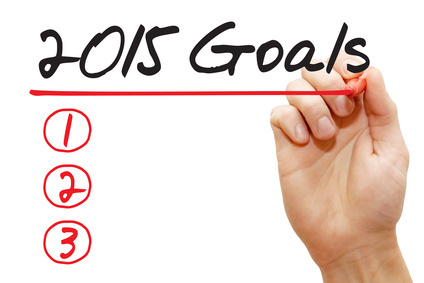 ← Correctional Nurse Goals for 2015: One Change that Makes All the Difference! The benefits of becoming certified are listed well by Lorry in the above article. Many nurses just say, I will get no more money by becoming certified…. that may sound like a good reason, but being a professional doesn’t mean only money… It is the skills, expertise, experience and self worth that mean more than money. Certification in a specialty is pride in ones chosen profession. That is my goal for 2016. I worked as a jail nurse for nearly 3 months only. This is my first time work as a jail nurse. It is very interesting place to work and unique population to serve. I am trying to find out more information about CCN, I check the ACA website but didn’t tell me much. i appreciate your time if you can lead me to the right site. THANKS.